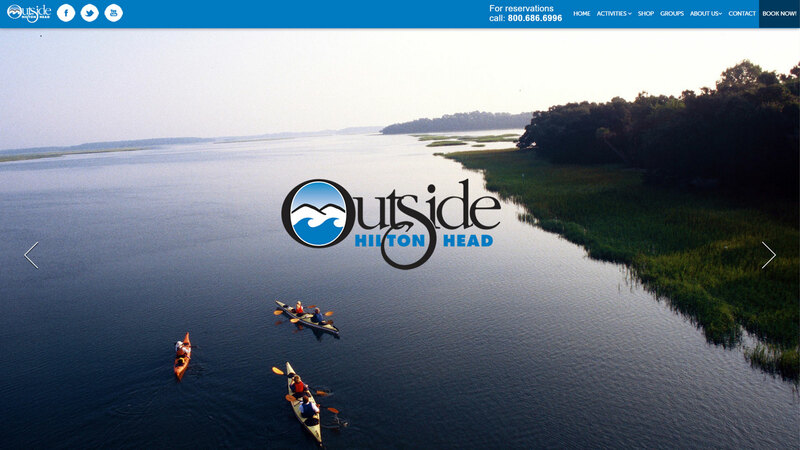 The Outside Hilton Head website combined the power of the Business Catalyst CMS with the design prowess of Donna Thomas at Icon Creative and all of the latest web design trends. The home page utilized a single page feel with a beautiful hero slider, a mobile responsive layout, and much more. 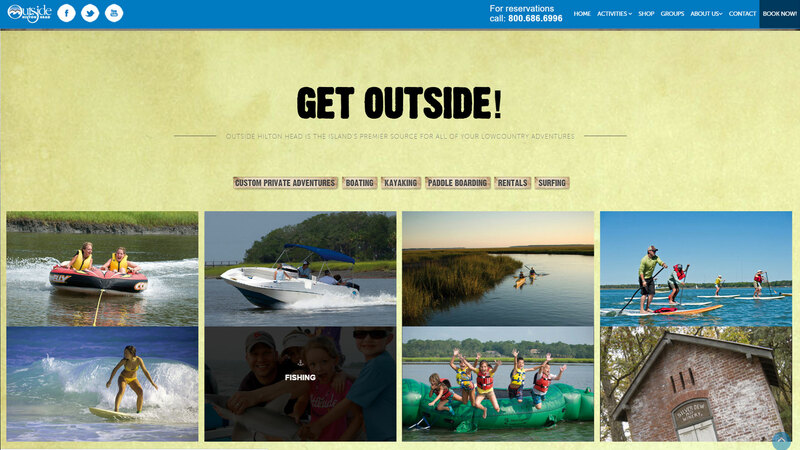 Part for the single page feel of the homepage include a beautiful grid layout of all of Outside's available activities. This section also included an ajax call to import descriptions of each activity and also offered links to the individual choices. The activity pages were the largest part of this project. 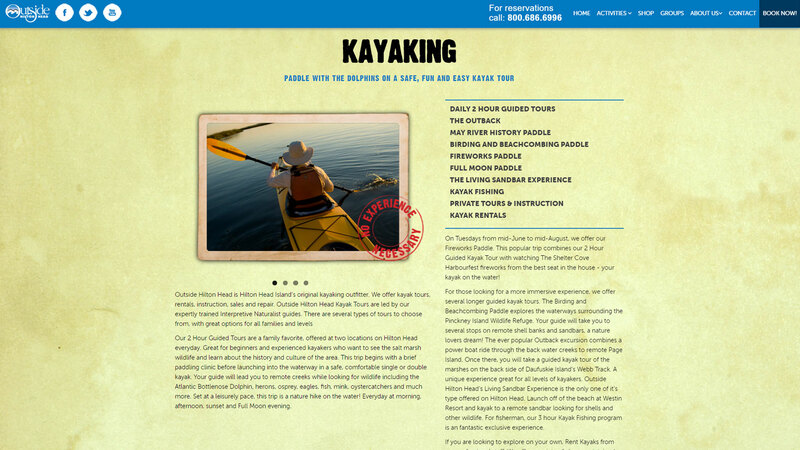 Each of the activities also had its own subset of pages, all of which needed to have a consistent look and layout. 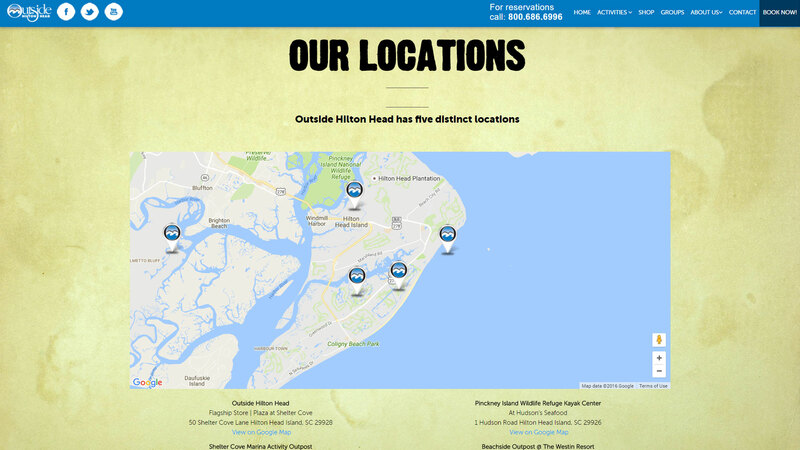 The contact page contained a custom map with interactive pin icons that utilized the Outside logo. Each pin is also clickable revealing a window that provides important information about that particular location. This map was also used at the bottom of the index page without any extra coding.